Have a house full of little ones this week on Winter break? Looking for a few last minute gifts? 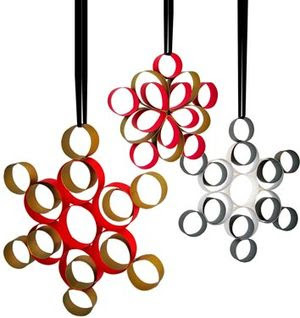 Keep the kids busy with some of these great DIY ornament ideas. 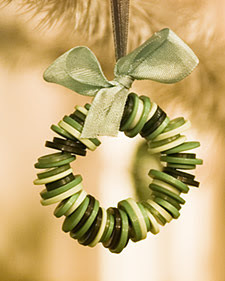 These beaded ornaments are simple and cute. They'd also dress up your already wrapped packages. Find out how to make your own over at the crafty Plum Pudding. 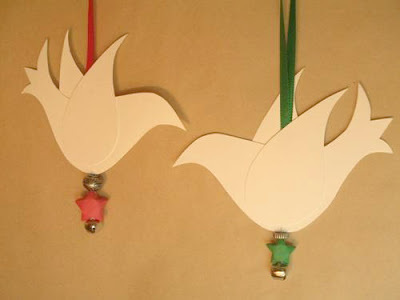 Elegant and easy to make, these doves will dress up any tree. Find out how to make them yourself over at mint. Domestic diva Martha Stewart delights with this sweet button wreath. Directions here. Domino Magazine offers up these darling snowflakes. 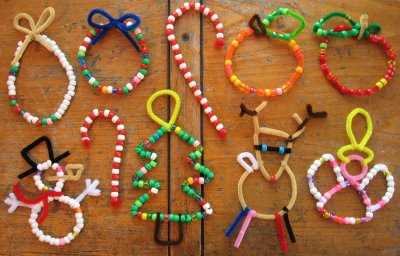 Find out how to make them here.